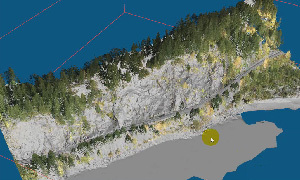 Digital Terrain Modeling: VRMesh can automatically classify any point clouds generated from airborne/mobile LiDAR, terrestrial laser scanners, and UAV images. 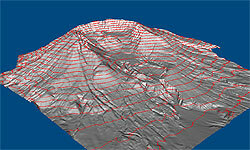 In addition, it can provide you an accurate bare-earth surface with no limitations on complex topography. 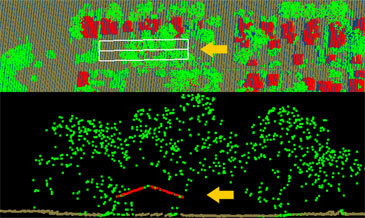 Water Catchment Analysis: Analyzing water catchment becomes easy based on a high-quality 3D terrain surface created in VRMesh. 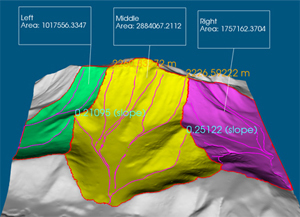 The program provides detailed water flow information for realistic 3D hydrological modeling. 3D Building Creation: VRMesh allows you to extract building footprints and create 3D buildings in one click.